With the support of a Heritage Lottery Fund award (OH12-11006) the Bottesford Community Heritage Group (BCHG) marked the centenary of First World War over the period March 2014 – June 2017. The BCHG is a community group that investigates the history of the parish of Bottesford, including Muston, Easthorpe and Normanton in north east Leicestershire (population approximately 4000). ‘The Bottesford Parish First World War Centenary Project: People, Community and Memory’ focussed on people from the parish who served in the Great War and how the community coped with the consequences of that conflict. Research findings were used to devise activities and events designed to sustain the memory of the conflict within the community. Over 3000 people benefited from the project through direct engagement with both planned and numerous extra events and activities marking the centenary of the First World War. Many more engaged at a distance via bi-monthly newsletters, website (including 250 biographies of those who served) and social media (Facebook, Twitter, HistoryPin). The project was reported in the local press and media in addition international coverage in Canada. 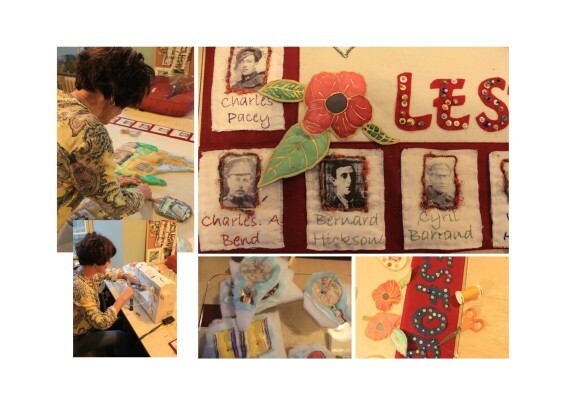 In addition, the project resulted in the creation of the Bottesford Primary School First World War commemorative banner and the production of a collectively authored book – ‘Lest we forget: Bottesford and Muston in the Great War’. This page was added on 06/03/2019.